Customizing John Marston in Red Dead Redemption wasn’t as exciting as it could’ve been. Sure, changing outfits offered a few options. He could don attire befitting a well-dressed gentleman or go full cowboy. However, every outfit had a preset look; swapping out clothing piece by piece wasn’t on the table. Apparently, that changes in Red Dead Redemption 2. Not only is protagonist Arthur Morgan getting a robust wardrobe, his facial hair can be styled as well. This news comes courtesy of VG24/7, which recently went hands-on with Rockstar’s forthcoming prequel. According to the website, players can mix and match a variety of clothing for Arthur. His jackets, shirts, trousers, hats, and so on will all be left to the player’s choosing. Interestingly, customization runs even deeper, thanks to the option to choose how Arthur wears certain garments. One example shared involves players deciding whether Arthur tucks his pants into his boots. Determining whether the character wears his sleeves rolled up or left down provides additional options. Another fascinating detail is that if Arthur wears clothing unsuitable for the weather, his stamina takes a hit. Rolled up sleeves and no jacket may look good on him in a cold weather setting, but the biting air could be quite affecting. Because Arthur’s hair grows in real time, players can choose to style it to their liking. The same goes for the character’s beard, which can also be trimmed and styled. Arthur doesn’t count as the only customizable aspect in Red Dead Redemption 2, either. Camps, which serve as a base of operations on-the-go, are additionally worth upgrading, though doing so isn’t mandatory. By contributing supplies to the base, such as food or medicine, players positively impact camp morale. Bringing in enough goods unlocks camp-specific upgrades, which offers players access to hitching posts, fast travel, ammunition, and more. Camp customization also extends to Arthur’s sleeping quarters, as players can decorate them with items like hunting trophies. There’s plenty to look forward to in RDR2 besides the new customization options. For one, the open world setting is chock-full of fascinating characters. 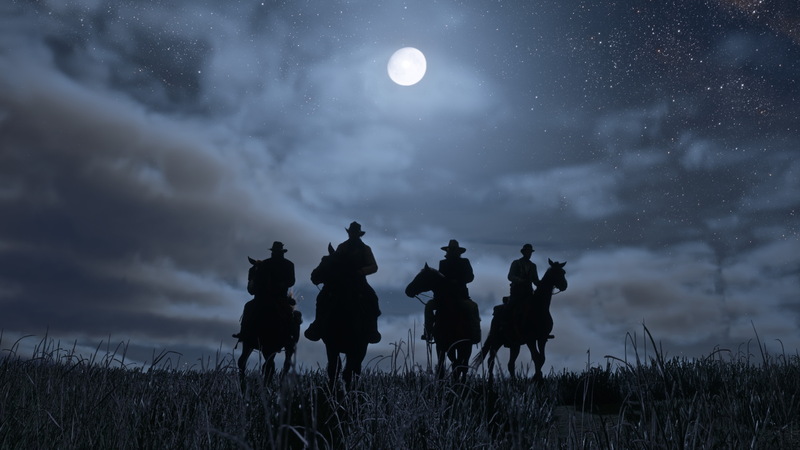 Red Dead Online, which has a beta launch in November 2018, is set to expand the game’s possibilities even further. Red Dead Redemption 2 arrives this fall on October 26, 2018.